It's so difficult to shock America these days. I wanted to see how funny I could be without making the choice that every 10 minutes something big and visual had to happen. People like the comedy more when they care about the characters. I think that everything I do tends to root for the underdog. I always felt as a kid that I was underappreciated, invisible or weird, but I've always secretly thought people would one day appreciate what is different about me. I'm always putting that message out there. I love magazines and film critics, so I eat it up. I'm not one of those people who says 'I never read anything.' I generally read all of it. My way of dealing with the world has always been to make fun of it and observe it but not take part in it.That's how I became a writer. But when you have kids, suddenly you have to be part of things. It leads almost to a breakdown because your whole defense mechanism is now really destructive. New Updates! (4/22/2019) We've been working really hard on completing our membership system so you can submit quotes and keep track of them. Once this is complete in the coming weeks there will be a lot more quotes by Judd Apatow and other authors. 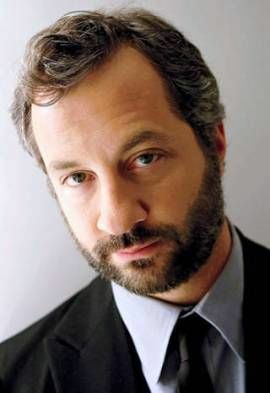 We've also changed the sorting on the site so you now see the latest Judd Apatow quotes first. Our goal is to have the best Judd Apatow quotes on the web!